Robert E. Sheriff, professor emeritus in the University of Houston’s Department of Earth and Atmospheric Sciences and longtime departmental benefactor, passed away Nov. 19 in Missouri City. The University mourns the loss of such an admirable, selfless man. Robert E. Sheriff, professor emeritus in the University of Houston's Department of Earth and Atmospheric Sciences and longtime departmental benefactor, left a tremendous legacy to the University of Houston. Through endowments and scholarships, he and his wife ushered in a new generation of geophysicists with a passion for the field where he was, in the words of Hua-wei Zhou, chair of the Department of Earth and Atmospheric Sciences, "a giant." Dr. Sheriff began working for Chevron in California in 1950. Throughout his career at Chevron he traveled the world supervising work in numerous locations and relocating his family to Trinidad and Australia. Dr. Sheriff came to Houston in 1970 and began serving as an adjunct professor of geophysics at UH. In 1980, he became a full tenured professor at UH. As a gifted teacher who cared deeply about his students, Dr. Sheriff shared his opinions without reluctance, pointing out weaknesses and telling students how to improve. His input and guidance helped his students learn to find issues and solve them later in their careers. He is perhaps best known for having written the Encyclopedic Dictionary of Applied Geophysics in 1973. "It is the exploration geophysicist's bible; people refer to it all the time," Zhou said. 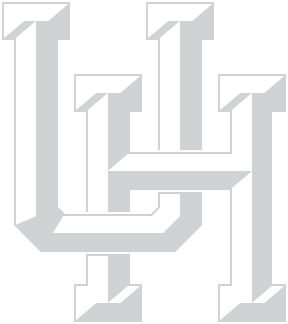 Over the years, Robert and Margaret Sheriff established four endowments at the University of Houston, giving almost $2 million in support of the Department of Earth and Atmospheric Sciences. The endowments are the Margaret S. Sheriff College Professorship in Geophysics, the Robert E. Sheriff College Professorship in Sequence Stratigraphy, the Robert and Margaret Sheriff Faculty Chair in Applied Seismology, and the Sheriff Endowment in Applied Geophysics. The Sheriffs also set up a scholarship through the Society of Exploration Geophysicists for international graduate students coming to UH to study geophysics. More than 100 students have been funded through their generosity. "Bob Sheriff was so unselfish, helping people any way he could," Zhou said. In addition to the many scholarships and endowments, his legacy was continued following his recent death with the gift of his retirement plan assets to the Sheriff Endowment in Applied Geophysics. His family also encouraged contributions to a memorial fund in his name after he passed in 2014. Bob Sheriff is still giving back to the University and helping to inspire our students' success.